It's Valentine's Day, and The Critter Club is singing telegrams for charity -- but will Ellie receive some of the love she is giving? 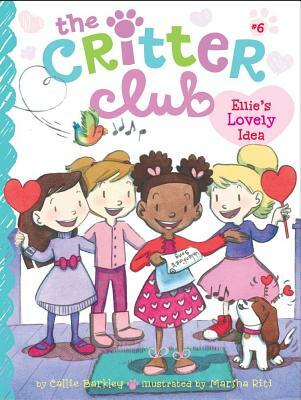 Valentine's Day is coming up, and to raise money for a charity called Puppy Love, Ellie suggests that she and The Critter Club girls sell singing telegrams. The girls have a lot of fun writing and performing the songs, but all the holiday spirit makes Ellie wish someone would send her a singing telegram! Will Ellie get her wish?